Introduction. Time Series: Displaying Time Series: Introduction. Time on the Horizontal Axis. Time as a Conditioning or Grouping Variable. Time as a Complementary Variable. About the Data. Spatial Data: Displaying Spatial Data: Introduction. Thematic Maps. Reference and Physical Maps. About the Data. Space-Time Data: Displaying Spatiotemporal Data: Introduction. Spatiotemporal Raster Data. Spatiotemporal Point Observations. Bibliography. Index. Oscar Perpinan Lamigueiro is a lecturer of photovoltaic and solar energy at the Escuela de Organizacion Industrial (EOI) and an assistant professor of electrical engineering at the Universidad Politecnica de Madrid (UPM). 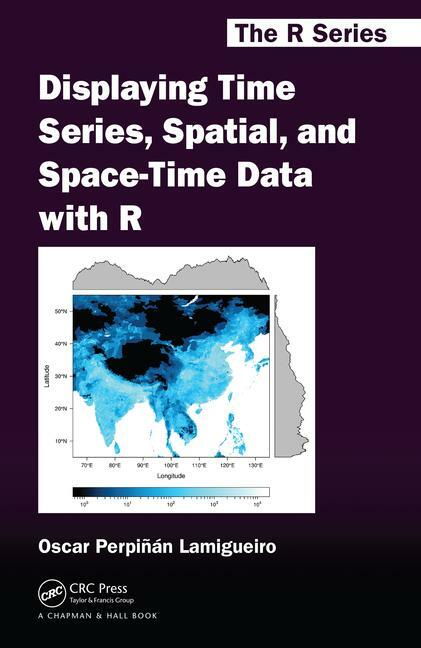 He develops R packages that provide graphical methods to display multivariate time series, spatial data, and space-time data (rasterVis and solaR).